Now that ABC's 'Marvel's Agents of SHIELD' has added a Latina to the cast I might be interested in watching the consistently inconsistent spy show again. 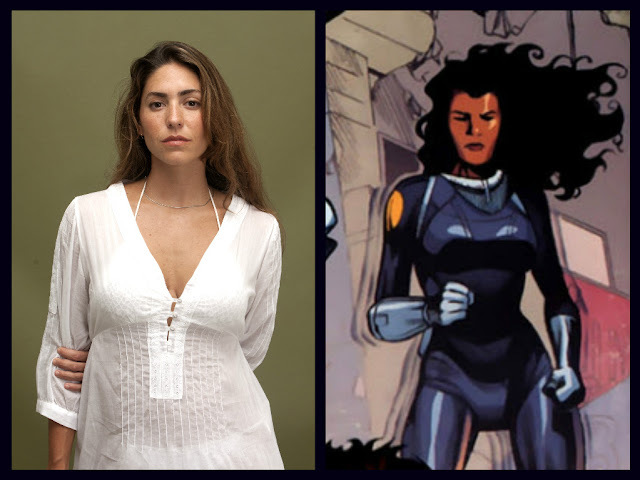 Mexican-born Natalia Cordova-Buckley (McFarland, USA, Ella y el Candidato) has been cast as Inhuman recruit Elena "Yo-Yo" Rodriguez aka the speedster Slingshot, who has superspeed but bounces back to the point she started from, to join Daisy Johnson's Secret Warriors. ComicBook.com had the exclusive scoop on the casting that describes Rodriguez as "a street-wise Colombian woman" (what else) who'll take on Hydra along with Daisy (Chloe Bennet), Lincoln (Luke Mitchell) and Joey (Juan Pablo Raba). The character is based on Jonathan Hickman and Stefano Caselli's "Secret Warriors" comic book run. Marvel's Agents of S.H.I.E.L.D. will return to ABC on Tuesday, March 8. Marvel's Agents of SHIELD 3x11 "Bouncing Back" - Their enemy has evolved - their greatest threat has returned. Can SHIELD reunite the secret warriors to combat a danger unlike the world has ever seen.